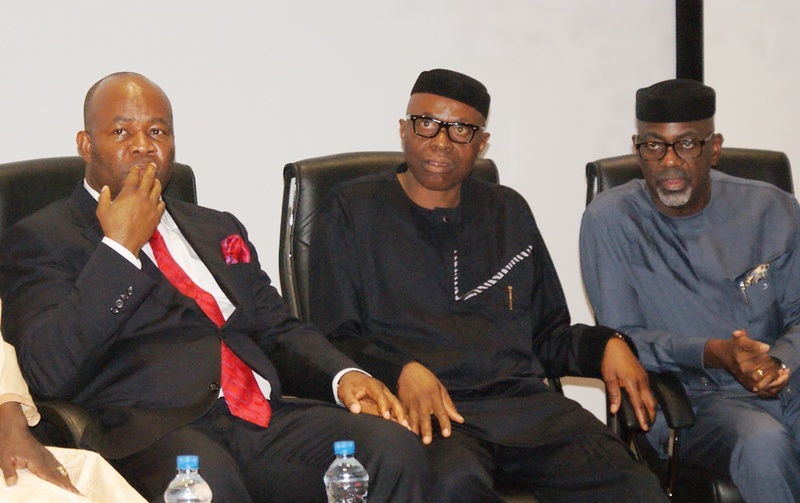 Keynote address by Governor Godswill Obot Akpabio of Akwa Ibom State during PDP Governors’ Forum meeting in Lagos. We, the Governors of the PDP family, are certain that the hope of the common people is secured in our great party. We are convinced that the key to the continued greatness of our country lies with our President, His Excellency Dr Goodluck Ebele Jonathan, GCFR. And we know that the mandate freely given to us by the good people of our different states obliges us to speak out at a time like this. We have come as servants; humbled in our collective knowledge that today’s democracy, which some persons appear bent to undermine, was obtained for us, in our lifetime, by the blood, toil and sweat of our compatriots. Some distance away from here lie the bodies of that great patriot and democrat, Chief MKO Abiola and his wife, Kudirat. They died so that we could breathe the air of democracy. We pay tribute to them and to every other Nigerian who paid the supreme price in our quest for democracy. We pay tribute to the ordinary persons in our country, particularly the millions, in Lagos, who sided with and responded to every call of Civil Society for mass actions in support of our demand for democracy. But we must never forget that eternal vigilance is the price of liberty. Therefore, we must fight to keep what our brothers and sisters bequeathed to us with their blood. This is the mind-set with which we can sustain democratic values and develop our nation. This is why the theme for this event “The Sustenance of Democratic Values and National Development” is very apt. Our dear country was doing well and had already acquired the sobriquet of the “Giant of Africa” when on January 15, 1966; the military toppled the democratically elected Federal Government led by Sir Abubakar Tafawa Balewa of blessed memory. In the coup announcement, they claimed that they were truncating our democratic journey because of corruption. That ill-advised and treacherous action contributed to the Nigerian Civil War and the death of over three million Nigerians. It led to serial violations of the rights of Nigerians by different dictators for over three decades. The enormity of the devastation of our nation by military rule, whose anchor was on an allegation of corruption, can only be understood, if we undertake a comparison with a nation like Botswana. Botswana gained independence in 1966 (six years after Nigeria). Up till now, it has not had a single incidence of military intervention. Today, Botswana is described in global development circles as “an African wonder story.” Once among the poorest countries in the world, with a GDP per capita of US$70 per year in 1966, Botswana is now one of the fastest-growing economies in the world, boasting a GDP per capita of about US$16,400 per year. It currently has the highest Human Development Index in continental sub-Saharan Africa. We believe if it were not for military intervention, our situation would have been better than Botswana’s situation. Between 1979 and 1983, our country again breathed the air of democracy and was on its way to growth. But suddenly, some military hotheads seized the airwaves and overthrew the government. Sani Abacha, then a Brigadier, made the coup announcement and said they were compelled to truncate our democracy yet again because of corruption. General Muhammadu Buhari emerged as the new dictator on the block. The sun set again over our country. In 1999, we breathe a new air of democracy again. Yes, it has been with its challenges, but we are emerging as a viable and politically great democratic country. Today, the PDP is the only mass movement in Nigeria, and it has assigned itself the role of not only protecting our democracy, but also fighting to sustain democratic values and developing our nation. It is the only party, which is not owned by anybody. It is the only party that is not built around a cult personality. Therefore, we abhor corruption. PDP wants a corruption-free Nigeria. It is important to note that the PDP has done a lot in the fight against corruption since the coming of democracy, particularly under the administration of President Goodluck Jonathan. But, we abhor the politicization of corruption by military veterans. We know what Buhari did after he indicted our respected leaders like Alhaji Shehu Shagari, Dr Alex Ekwueme and others of corruption. These military veterans and their cohorts are today still trying to use the same old trick to hoodwink our people. Today, General Buhari, like in 1983, is posing as an anti-corruption crusader, even when surrounded by people of questionable means, all in an effort to cajole the electorate ahead of the forthcoming election. Interestingly, the party that is parroting anti-corruption slogans epitomizes corruption in all its ramifications. Questions that come to mind are: Who are the people talking about corruption? Who are the main financiers of the opposition? How did they make their money? We cannot fall prey to the same old trick. We are wiser today. We are aware that some people have complained about the age of General Buhari. But we do not see anything wrong with his age, if he thinks he can withstand the rigors of the job. But we are extremely concerned about the age of his ideas. We are concerned that a man who could not take charge when he was in his 40s but rather bequeathed, to historical infamy, a regime named after two people, (Idiagbon/Buhari regime, instead of one person as has always been the case) cannot take charge at 73 when his health would need constant monitoring. We are concerned about the age of his ideas because 50 years after the first coup, hinged on fighting corruption, Buhari is still thinking of using the same subterfuge to deceive us today. We dare not allow anyone to use a 50-year-old trick to destroy our democratic values. We are wiser today. This is why the choices before our nation in this election are either engaging our reverse gear or our drive gear. If we want to move forward, then we must move into drive mode with President Goodluck Jonathan and cross this Jordan River into a land reflecting the promises of our founding fathers. To PDP, sustaining democratic values is a creed. Since President Jonathan came to power, there has been free reign of opinions. To enhance this right, the administration enacted the Freedom of Information Act and it is on record that no single individual in the country under the Jonathan administration has been hounded on account of having a viewpoint. President Goodluck Jonathan and indeed PDP have shown an abiding faith to democratic values. He has also shown uncommon commitment to internal party democracy. Under his watch, the nation has witnessed remarkable improvement in the conduct of elections in the country. Such that every subsequent election has been better than the preceding one and it is expected that the 2015 election will be much better than the 2011 election. By ensuring credible elections, President Jonathan is not only deepening democratic values and ethos, but has placed Nigeria on the part of true greatness. President Goodluck Jonathan has been transformational in his leadership of this country. APC is talking change, and talk is cheap. What we need now is transformation – not change. Transformation is what turns the larva into a butterfly, and what will take our country up where the eagles fly. Transformation will give us a better nation. Change is an amorphous term and it could be positive or negative. APC has made change a mantra but they have not shown whether they want change for good or for bad. But one thing is certain; any change that is not planned would lead to disaster. We cannot risk our future on a toss of the dice by APC. We personally suspect that they want to change Nigeria from being a country to being a part of somebody’s private estate. A recent poverty index shows that Zamfara and Yobe states are about the poorest in the country. And these are states that have never been governed by the PDP. The other state in the same bracket is Borno. Suffice to state that there is a correlation between poverty and insurgency in that part of the country. Therefore, APC’s misrule in those states must have been contributory factor to the insurgency that President Jonathan is valiantly confronting head on. If the APC elements governing these states provided education and built Almajiri schools like President Jonathan has done, the security challenges in that part of the country would not have arisen. President Jonathan has done well in national development. He has developed key infrastructure and developed human capacity. National development is one of the expectations of democratic governance. The trains are back and running with air-conditioned coaches. His agricultural programmes are revolutionary. Fourteen brand new universities have been established. The confused opposition is now focusing on Boko Haram insurgency. They forget that they were the people who criticized the President and urged him to stop sending troops after Boko Haram. They were the people who described Boko Haram as “our boys” fighting for the North. They were the people Boko Haram nominated as their spokesmen when a dialogue with Boko Haram at Saudi Arabia was on the cards. We may recall that on June 9, 2014 the spokesperson of the APC, Alhaji Lai Mohammed, in a statement, criticized the Federal Government’s war against Boko Haram, describing it as unconstitutional. Similarly, on June 2, 2013 General Buhari publicly lamented in a Radio programme on Liberty FM, Kaduna that Boko Haram people were being killed by the government unlike the Niger Delta militants who, according to him, were treated with care. In the same vein, when the Federal Government was contemplating negotiating with the dreaded Boko Haram group, Boko Haram nominated Gen. Buhari as their chief negotiator. The APC is like the man who set his seat ablaze in the theatre, and ran out screaming, “Fire! Fire!! Fire!! !” But God has intervened and we are defeating Boko Haram. Despite the antics of the opposition and others sympathetic to Boko Haram, The President and Commander-in-Chief of the Armed Forces, Dr. Goodluck Jonathan, GCFR, and indeed, the military, have been able to rise to the occasion by decimating insurgents and restoring hope of a peaceful North East in particular and Nigeria in general. Distinguished ladies and gentlemen, you will agree with us that our president, the military and the joint West African forces deserve our commendation for the string of successes being recorded in the battle to rout Boko Haram. Sadly the APC, has found it increasingly difficult to commend the effort of the President while it has reluctantly applauded our gallant soldier. For them, they will rather pretend that nothing has happened. It is abundantly clear that the opposition is soft on the Boko Haram issue, even though they have, paradoxically, made elimination of Boko Haram their campaign mantra. At this juncture, therefore, we are calling on the United States and other western powers to be more involved in the fight against the Boko Haram, now that its affiliations to ISIS and other global terror groups have been established. How then can Nigerians reconcile the purported readiness of INEC with the testing of the Card Readers more than two weeks after the elections were shifted? Given the failure rate of the Card Readers during the recent mock exercise, it is apparent that most Nigerians would be disenfranchised. We reassert that on no account should any registered voter be disenfranchised for non-possession of PVC owing to no personal fault or rejection by faulty cards reader. In this country, democratic values are sustained mostly in PDP states, and it is only in PDP states that development excels. Because the people own PDP, and not any individual with vested interests, PDP states are doing well. If an Asiwaju, Ogbuefi or Sarkin etc. owned PDP; the story would have been different. That is the difference between PDP and the opposition party. Do note that all the airports built in Nigeria in this dispensation are in PDP States. Plot a development graph and it will astound you that the difference between PDP states and other states is clear. More so, there are untouchables and owners in the opposition party. But there is nobody the PDP cannot do without. The PDP is a party of the people, for the people and by the people. That is why the only way your vote can count is to vote for the party, which belongs to you – and not a party that is a part of someone’s private estate. We have as a country had sixteen years of democratic governance because we have done well as a ruling party. Surely, we are going to do much more and better. We must at this point commend Mr. President for taking the bold initiative of convoking the national confab and his commitment to ensure the actualization of its over 600 recommendations. This is indeed an affirmation of his love for the future growth and development of our great country. We have come to tell Nigerians to vote for today, vote for tomorrow and vote for the truth. Vote to sustain our democratic values. Vote to ensure that our national development continues! Vote to ensure that our national dream is not aborted.